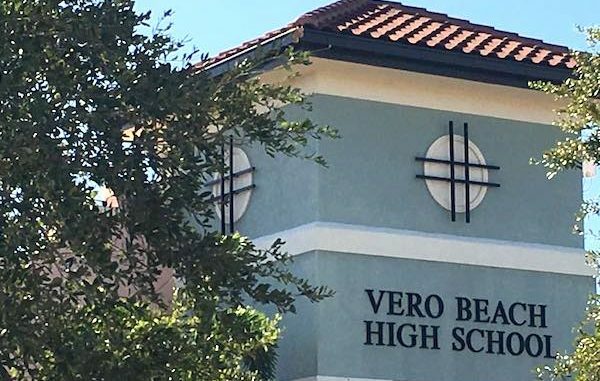 VERO BEACH – Two Vero Beach High School teachers will keep their jobs after they helped students cheat in tests that led to a scandal. However, Indian River County Superintendent Dr. Mark Rendell said he decided to withdraw the recommendation for termination. “I have been reviewing all aspects of this situation for some time and have decided to withdraw the recommendation for termination,” Rendell said in a released statement following the cheating scandal. “I made this decision for several reasons. First, the real victims in this situation were the students. They have lost industry certifications and in some cases lost course credit. Whether the teachers were terminated or not would not change that outcome for these students,” Rendell added. The School District accused Alison Moody and Ralph Vaughn of giving test questions to students in Vero Beach before taking the tests. Vaughn allegedly tampered with the exams by logging into the test system using fictitious names like “Abraham Lincoln,” “Georgie Washington,” and Speedy Gonzales” before the students took their tests. The teacher’s actions invalidated certificates for more than 400 Vero Beach High School students who earned a passing grade for the tests last year. The school district is offering students an opportunity to re-take the tests again but giving them a deadline and just three days to prepare. A few students have rejected that offer.